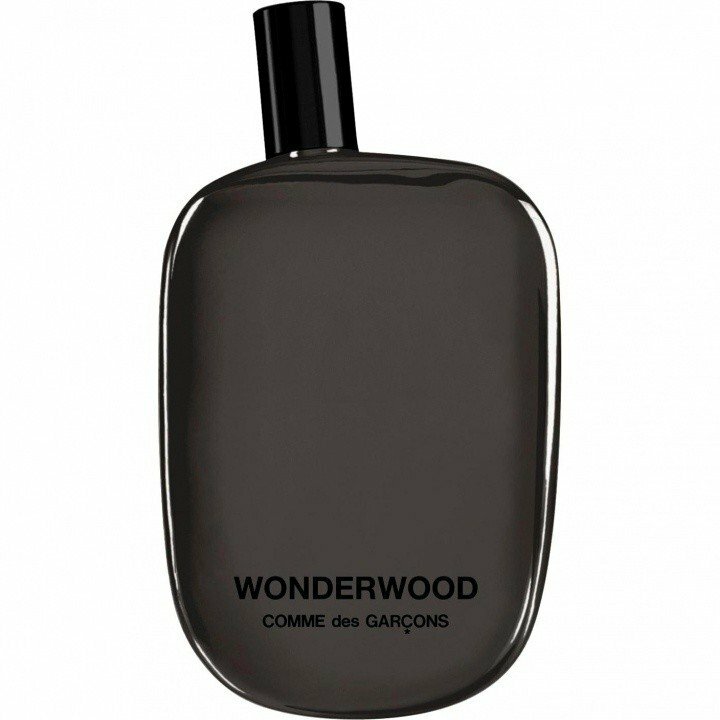 Wonderwood is a popular perfume by Comme des Garçons for men and was released in 2010. The scent is woody-spicy. It is being marketed by Puig. Archaic by the notes, yet modern by execution. A traditional CdG synthetic scent, transparent and easy to wear. Maybe not so revolutionary, but extremely easy to love. I'm just a sucker for woods, and Wonderwood satisfied my needs for that olfactive atavism. In a very contemporary and urban manner. For me Wonderwood is a disappointment since i was expecting something great from CDG. Smells like an average woody/cedar scent with a touch of vetiver. Nothing actually unique. Anyway i cant say it's bad. No, it's good, but average, with a very simple structure despite the notes. Sillage, projection and lasting power are medium-high. I love Wonderwood. At first, I immediately noticed a strong resemblance to the excellent Encre Noir with its smokey vetiver and cedarwood accord. I thought "Very nice, but superfluous." Then Wonderwood's drydown came along and that is where it sets itself apart from Encre Noir and others... It is just sublime, smelling of an almost lemon-like frankincense note mixed with sandalwood and a hint of pepper and synthetic oud. It is hard to describe what it smells like beyond the notes, but it is just incredible and makes Wonderwood much more versatile than Encre Noir, IMO. Definitely FBW at its 4 stars out of 5 rating, but if you already own Encre Noir you may have to decide if both need to be in your collection. In my opinion, the answer is "yes." However, I consider wonderwood as almost perfect. The pepper, nutmeg, incence, the different woods, resins, vetiver, caraway give the oudh a soft bed so it is at no time smelling like sweat. There seems to be a touch of mint. The bergamot together with oudh is giving Wonderwood a sweet and softening feature. And after all ingredients had developed to that wonderful scent it is staying contantly the same for a very long time, many hours. My husband likes Wonderwood as well - if I am wearing it. He does not know that it basically is designed only for men. As some of the user might have remarked, we Germans are inclined to mix up "wonder" with "miracle" which I do not. Therefore for my oponion the name: Wonderwood suits to the parfum. It did not expect a miracle but something wonderful. I received it. Though I am still dececting for "my" perfect oudh-parfume. Meanwhile I have Wonderwood to delight me and for comparisions too. 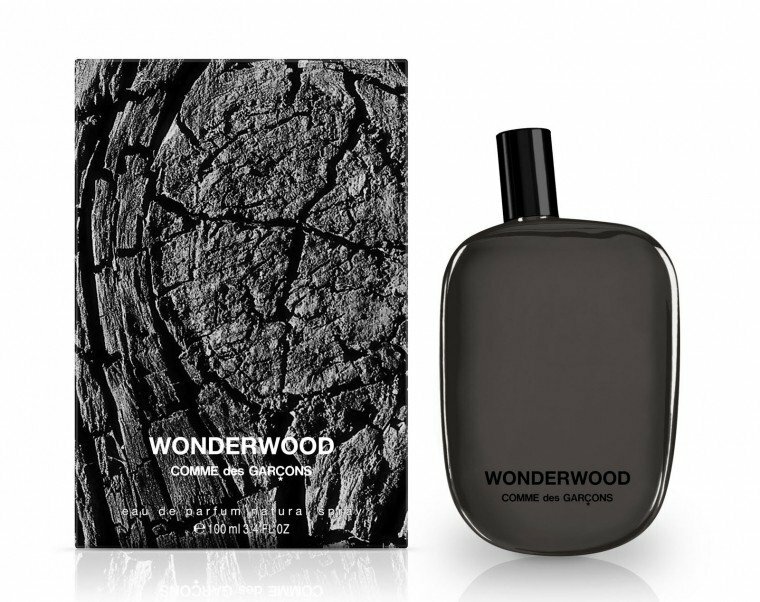 If you're thinking ruggedly masculine fragrances, think Comme Des Garcons Wonderwood. There really is nothing quite like it. It's the kind of rich, concentrated woodsiness that I so desire in my fragrances. The opening is a rather interesting blend of dank woods on a somewhat damp and earthy greeness. It smells like a freshly timbered tree in the middle of a rainforest. It's musty-ness is a guilty pleasure. Pepper emerges in the heart, where it adds some liveliness to the composition. The scent begins to smell a lot like emmaculate wood-carvings in arts and crafts stores, with that hint of natural, woodsy sweetness and dark resins. Wonderwood is truly engaging, particularly since it smells delicious to me, like something I would want to literally taste. 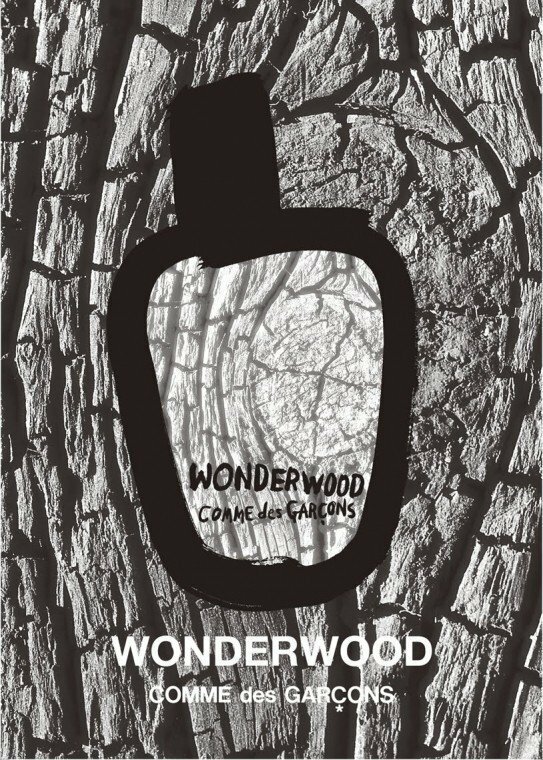 Despite being a relatively manly scent, Wonderwood could work well on feminine skin too. It's not nearly as gender-set as one would expect. Oud wood and incense make up most of the drydown, which is enchanting to say the least. To my nose, it smells almost religious, like what I'd imagine the ancient Buddhist temples would smell like. I find it a little similar to Marc Jacobs Bang, however this fragrance is much smoother and much more daring. The longevity is wonderful, really worth the money. 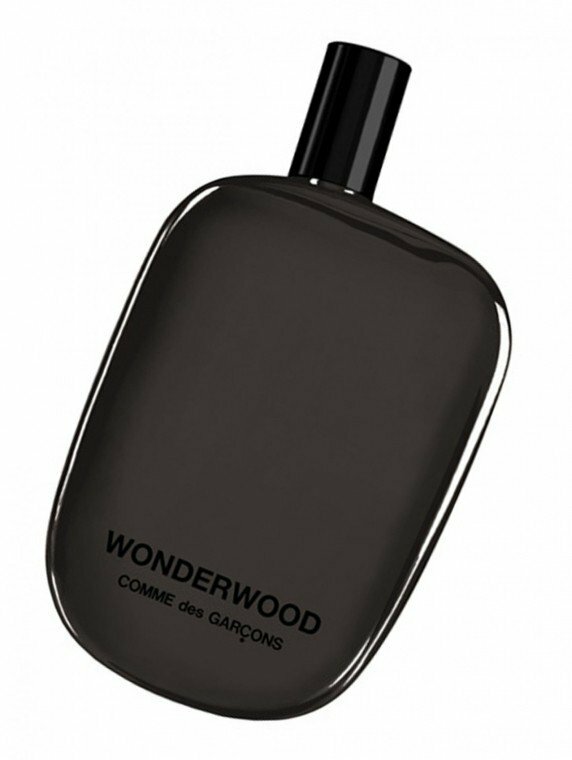 Wonderwood has once again re-established my opinion, that the masculine offerings by Comme Des Garcons are worth being discovered. Now Wonderwood is a favourite of mine. One of my friends (who happens to be a reviewer on parfumo as well) and I like to fight over this fragrance. He's to lazy to buy his own bottle, yet he can splash money on Tom Ford's (crap) private blend collection hahaha. Aside from all that silliness, I have to express my deepest and dearest admiration for Wonderwood. Living in Texas and growing up here my whole life as a guy, you're raised around the foundations of being a Strong and masculine man. You can be rugged but you also have to be a real gentleman and I think that Wonderwood strikes the perfect balance. I do have to get a little sentimental and take myself back to days where I'd visit my Grandparents farm, and the scent of all the different kinds of trees with the gritty earthiness of the dirt and the small, sweetness of scent that the wind carried with it seems to resonate quite well in this fragrance for me. I'm reminded of walking through the deep dark woods at night time with friends, the fragrance reminds me of how much of a big shot I used to think I was. I thought i was so cool. I find myself at times wishing i could taste the fragrance, it smells delicious on the skin, the prominent oud note makes my mouth water, and the scent of dark resins seems to tie the whole fragrance together for me. The staying power is phenomenal, you will literally wake up the next day with this still partying away on your skin. If you haven't tried it, then get out there and test it and if you have the money for it, then Buy it. Its worth the cash!